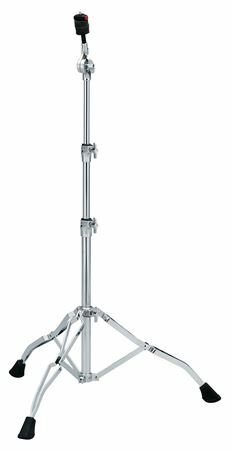 Shop Tama HC42W Stage Master Straight Cymbal Stand from AMS and enjoy Fast & Free Shipping. Tama Stage Master Straight cymbal stand with double braced legs now features the Quick-Set cymbal mate for faster setup and breakdown. Using this for my ride cymbal. Tama never disappoints when it comes to quality and the price is worth the money. Kind of spendy, but you have to spend a little bit more money for a sturdy stand. Havent had long enough to see if stripping is an issue. But so far everything is good with this stand. Great buy for road ready equipment! the stands are tough sturdy the only complaint,re check the tightness of the stands to make sure they don't slide on you.i play very hard so just to keep the stands set. The best for the best price. Solid but not too heavy like other brands. Easy to adjust without the tearing your hand tendons apart like the other name brand. The only stand this compares to is 1967 made in England Premier.